For many people, a watch is not only a device that tells time, as numerous other devices surrounding us can do that today. It is also a piece of art, jewelry, perhaps a status symbol or perhaps equipment for something else as well. From diver watches to chronographs with pulsation scale on its bezel for specific pusposes. Then you have those watches that people wear all the time; even when playing sports. We all know the history of Jaeger-LeCoultre’s Reverso and the British polo players. Have you heard about Cartier’s Basculante or Universal Geneve’s Cabriolet though? Read on! For those of you who don’t know the story: The Reverso was introduced in 1931 after numerous British officers complained that their watches broke during their heated polo matches while stationed in India. Jaeger-LeCoultre came up with the case design where the case with the movement is housed by a separate outer ‘frame’. The case can be pulled to the side and turned so the crystal is faced towards the wrist protecting it. Swiss watch making meets British colonial’s high society with these reversible watches. 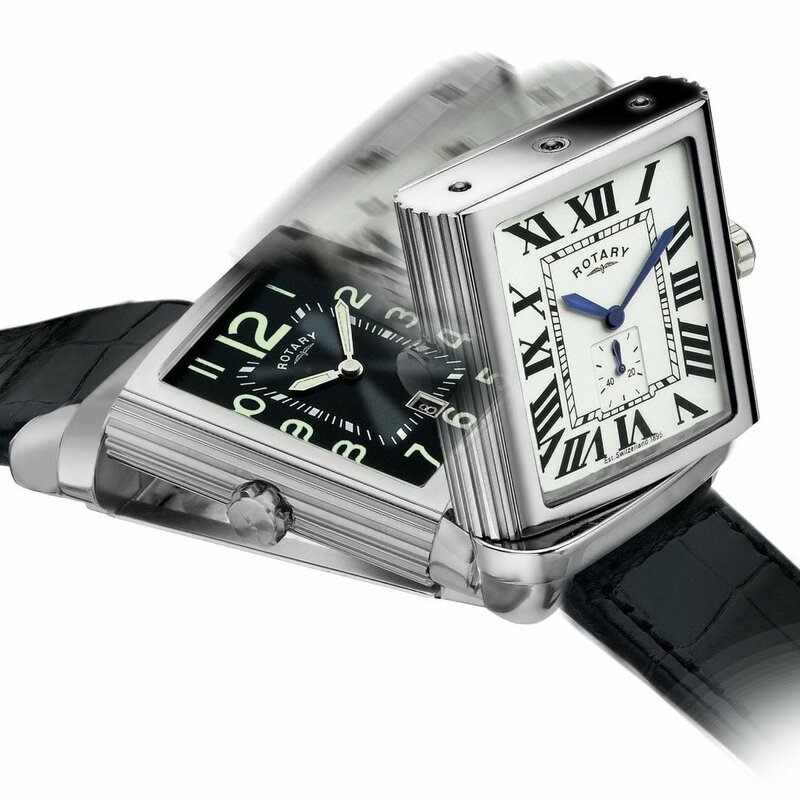 The Reverso is probably one of the best known reversible watches by a wider audience. However they were not the only company to produce reversible watches. In fact, according history, another brand introduced their model even before the Reverso; Universal Geneve’s Cabriolet. Universal Geneve introduced their model in 1929. Le Cabriolet also has a square case which sits in an outer frame but in this case the crown is at the 6 and above the 12 there is a little screw which allows you to snap the case out and turn it 180 degrees than snap back into the outer frame, securing it with the crown. Whether they were also planning to launch a watch for polo players or it was only a coincidence is unknown to me but it it very interesting nonetheless that 2 of the major brands of the era came up with similar designs so close to each other in time. History however is even more interesting than that. Not too long after the Cabriolet and the Reverso in 1932 (actually the company on their website states it’s 1933, but we have evidence that it came out a year before) jeweler and watchmaker Cartier launched their answer to the rectangular dress/sports watch challenge, the Basculante. Explaining how the Basculante works is pretty hard, so I will let the pictures do the talking for me. So within 3 years 3 very similar yet completely different reversible watches came out marking a milestone in watchmaking. Since those years watch manufacturers from TAG Heuer to Chronoswiss, from Omega to Rotary have had similar designs, some using the reversible feature to create 2-faced watched some just paying ‘homage’ to the original idea. Without a doubt Jaeger-LeCoultre’s Reverso is the most famous among all of these. However I find it very fascinating that if we dig a little deeper in the history of one model, a whole new world of models we’ve never heard of opens up in front of our eyes. But then again that is why we love vintage watches. Read RJ’s article on the JLC Grande Reverso Ultra Thin 1931 if you want some more info on the Reverso.